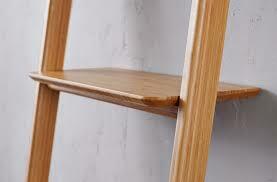 Library shelving when space is a premium. 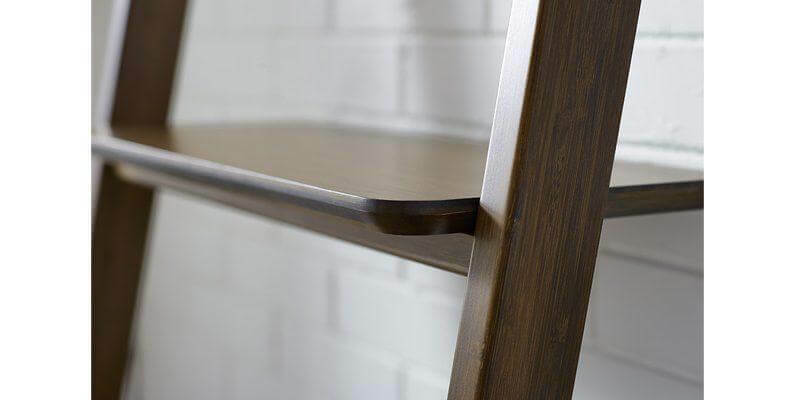 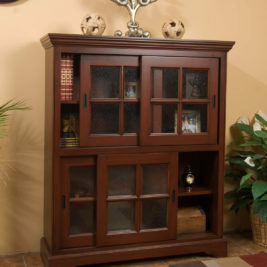 The Currant leaning shelf fits almost anywhere that you need a bit of extra storage. 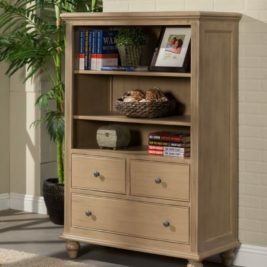 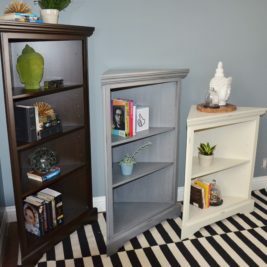 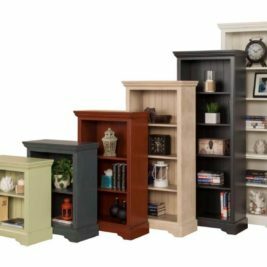 A beautiful addition to your entry, living room, office or kitchen, with open styling that puts your books and treasures on display. 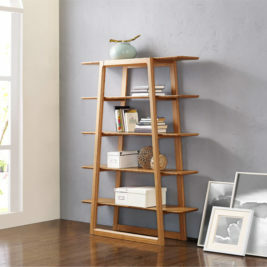 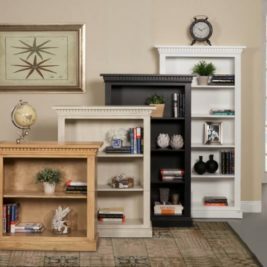 Simple and elegant, the unique design of the Currant leaning shelf will beautifully organize your space. 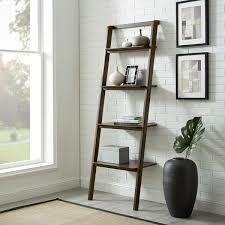 Beautifully finished on all four sides, the Currant leaning shelves ladder up the wall 4 high. 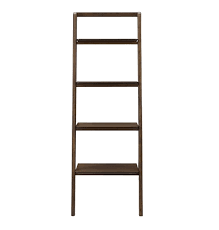 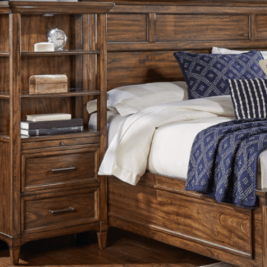 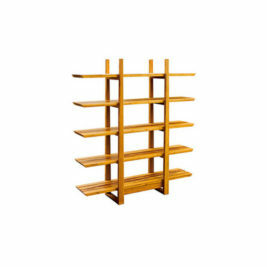 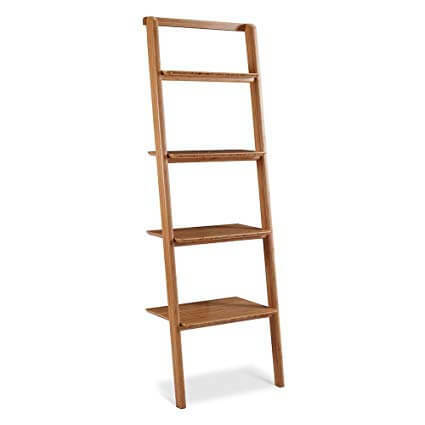 A great storage solution for small spaces, each shelf features smoothly rounded edges, inside a tall solid bamboo frame. 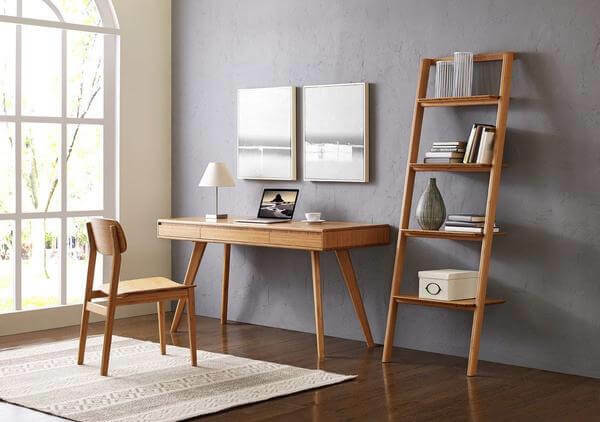 Eco-friendly and rapidly renewable, Moso bamboo is a grass that reaches maturity in 5 years or less and releases nearly 35 percent more oxygen back into the atmosphere than equivalent wood forests.